Car accidents in Alberta happen daily. But do you know what to do next? Many drivers are unsure. Are you supposed to call the police? How do you fill out an Alberta accident report? These are the questions many drivers in Alberta are asking. Do you know how to report an accident? If not, or if you are unclear about the details, we have you covered. This blog post provides you with all the information you need to know about how to report car accidents in Alberta. 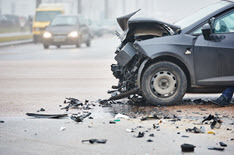 What Is Considered A Car Accident in Alberta? Do I Need To Report A Car Accident To Police? You were the victim of a hit and run If you suspect the other driver to be intoxicated, involved with a crime, or part of a fraud ring, call the police immediately. You do not need to file an accident report in Alberta if there is no damage. You are not required to report an auto accident if the damage does not exceed $2,000, there are no injuries, and no laws were broken. However, you still have the option to file a report if you wish. Call 911 : Call 911 right away if there are injuries or if one of the vehicles is not driveable. Police will come to the scene and file a police report onsite. Report the collision at a police district office : Do this if there are no injuries and the vehicles involved in the accident are driveable. The vehicle involved and person who was driving must be present. 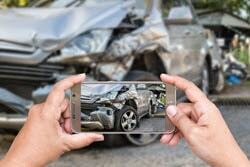 What Documents Do I Need To File A Car Accident Report? (v) a financial responsibility card issued in respect of that vehicle. Where and how do car accidents in Alberta happen? Remain at the scene : It is ILLEGAL to leave the scene of an accident. It doesn’t matter if you caused it or not. Check for injuries : Check with all parties involved in the accident to see if they are injured. If there are injuries, call for help immediately. Move vehicles out of traffic : ONLY if it is safe to do so, move your vehicles to the shoulder of the road. Do what you can to prevent additional accidents – turn on hazards, and place emergency cones on the road. Call the police : If there are injuries or the damage is greater than $2,000, you have a legal obligation to call the police to report the accident. Depending on the situation, they may instruct you to visit the nearest collision centre to report the accident. Get witness contact information : If you have a witness, ask for their contact information. Document the accident details : Take photos of all vehicles involved, note the weather conditions, and write down the events that led to the accident. You can use this information to fill out the police accident report. Call a tow truck (if needed) : Call a tow truck if your vehicle is damaged to the point where it is not safe to drive. Visit any police district office : When you arrive at your local district office, you will be required to fill out a police accident report. An officer will check the damage to the vehicles and take photographs. Follow the police instructions to fill out your report. Contact your insurance broker : Once you have filed your police report, contact your insurance broker as soon as possible. They will be able to help you complete the insurance claim process, if necessary. You will be asked to provide information about your vehicle, accident details, the other vehicle and driver, and police report. Filing a police report for a vehicle accident in Alberta is fairly straightforward. You cannot report a collision online. You must visit your local district office. You will be provided with an “A-Form”. This is the standard Alberta Collision Form used for reporting vehicle collisions. What Information Do I Have To Provide In A Police Accident Report? Why Should I File A Police Collision Report In Alberta? Even though you are legally required to file a police report in many circumstances, it provides you with protection. It gives you an accurate record of events, protects you legally, proves fault, and protects you against fraud. Plus, you can rest easy knowing you did everything the right way. If I File A Police Report, Do I Have To File A Car Insurance Claim? No. Filing a police report does not mean you have to file an insurance claim. 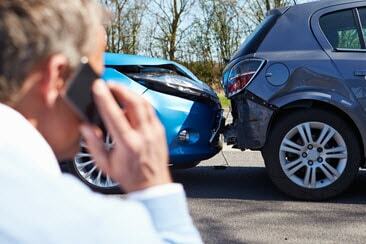 However, even if you don’t plan to file a claim, it’s still important to notify your broker of the accident. 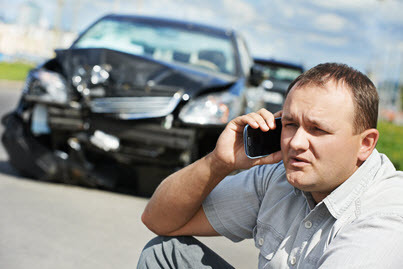 Speak with your broker about the accident and get advice about the claims process. There is some confusion about how to report certain types of vehicle accidents in Alberta. If you are not sure whether you need to report an accident to police, call them to confirm. If you were involved in an accident, you should report it to police as soon as possible. If the damage exceeds $2,000 and the vehicle is driveable, you have 24 hours to file a report at your local police station. Failure to do so could result in a fine. Depending on the details of your insurance policy, you will have a certain time period to report a car accident to your insurance company. Generally you have 30 days. Check with your insurance broker for clarification. If someone is seriously or fatally injured in a car accident, you must report it immediately. Call the police and request emergency services right away. Remain at the scene and wait for help to arrive. Do not attempt to follow the vehicle. If your vehicle is driveable, visit the nearest police station. Many people assume you do not need to report accidents that occur in parking lots or on private property. You should treat parking lot accidents the same as other accidents. Use the same rules to determine if you need to file an accident report. A crime was committed – impaired driving, stolen vehicle, etc. Filing an accident report will not necessarily increase your insurance rates. 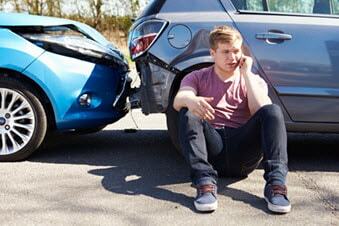 Being at fault for the accident is what impacts auto insurance rates. Police reports do not determine liability. Police accident reports also do not impact your insurance company’s assessment of the accident. Your insurance company determines fault based on the information about the accident. Where Can I Get A Copy Of The Alberta Collision Report Form? Go to www.ecollision.gov.ab.ca. Make sure you have the Police File Number for your report. What Happens If You Don’t Report A Car Accident In Alberta? Failure to report an accident can result in a fine, demerit points, and potentially jail time. The maximum fine is $2,000 and/or a period of 6 months in jail. Upon conviction, 7 demerit points will be added to your driving record. It’s recommend you report an accident as soon as possible if there are injuries, a crime was committed or the damage is more than $2,000. What Is The Insurance Statute Of Limitations In Alberta For Car Accident Reports? All insurance companies are different. Some require you to report an accident within 7 days, some give you 30 days. Failure to report an accident to your insurance company could be grounds for policy cancellation. What If I Am Not Sure If The Damage Exceeds $2,000? You can get an estimate on the damage before reporting the accident. Alberta law does not allow auto repairs on a vehicle with more than $2,000 without the presence of an accident report sticker. If you are not sure if the damage exceeds $2,000, go file a police report just to be safe. Do I Have To Report Accidents That Happen In A Parking Lot? Yes, if it meets the requirements that merit the filing of an accident report. If you are not sure, call the police and file a report. Do You Have To Report An Accident To Your Insurance? Yes. Your auto insurance policy requires you to report any and all accidents, even if the damage is less than $2,000 and you plan to pay for the repairs. 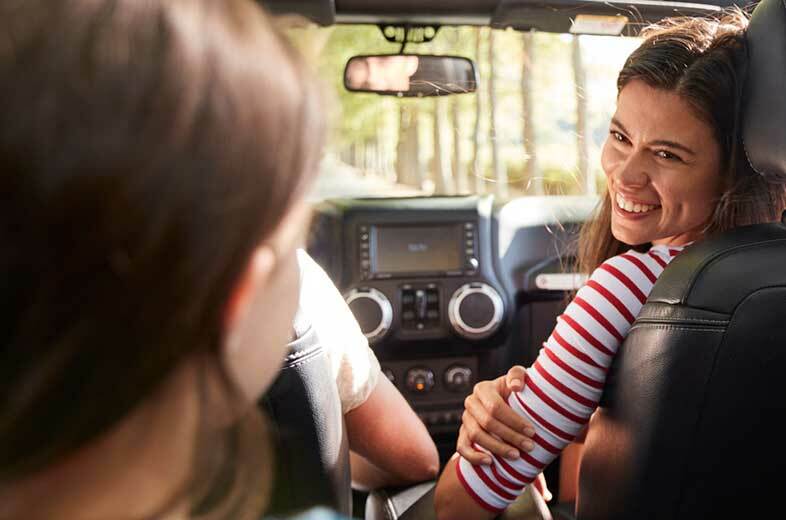 Following these simple tips and being dedicated to being a safe driver can reduce your odds of getting into a car accident.